In the U.S. and Canada, Sandler franchise territories are geographically defined and population-based. The franchisee's territory is the state in which the franchisee resides, and is limited to one franchisee for every 500,000 people in a state. Internationally, area franchise developers receive geographic exclusivity (on a national and/or regional basis). And all Sandler Training programs apply today's most advanced adult learning methodologies. 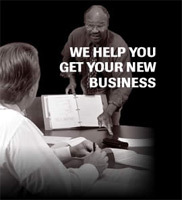 Sandler Training began franchising its training program in 1983. Today, the franchise supports a growing network of more than 175 North American franchises, and Sandler International, the company's newest division, is actively seeking overseas development partners. Sandler Training is the leading provider of a comprehensive set of sales, management, leadership, coaching and related training programs. The privately owned company was founded in 1969 by David H. Sandler and Edna C. Sandler. David was a visionary sales trainer, motivational speaker and author of "You Can't Teach a Kid To Ride a Bike at a Seminar." Sandler Training has grown exponentially over the past 40 years to become the training industry's most successful and widely used sales and management curriculum and development programs. Its key – and still unique - feature is its ongoing reinforcement of Sandler's core teachings. Through continued support and follow-up training sessions, Sandler Training transforms the sales culture of organizations, whether they are a Fortune 500 with two thousand salespeople around the globe, or a small business with just four sales reps.
Sandler Training is based on reinforcement training. Changing people's attitudes and behaviors and their total mastery of a new selling methodology is not a "quick fix" solution that happens in a one-day seminar or an eight-week course. Producing lasting change in people only comes about through ongoing reinforcement: classroom-based training delivered every week. Using its unequalled network of 225 Sandler Training Franchises in the U.S.A., Canada, Mexico, the United Kingdom and 11 other countries, Sandler solutions range from a single-site company with a few sales professionals serving local clientele to a global enterprise with thousands of professionals serving different geographic and business vertical markets. Sandler's extensive curriculum covers sales, management and leadership training, executive coaching and other programs tailored to individual client needs. For more than 30 years, Sandler Training has been a leader in sales and sales management training. Sandler's distinctive, non-traditional selling system and highly effective sales training methodology have helped salespeople and sales managers at every level take charge of the selling process. David Sandler passed away in 1995. Edna Sandler succeeded David as CEO and President from 1993 through 2007. Today, David Mattson, CEO, and Bruce Seidman, President, son of David Sandler, continue to propel the Sandler vision forward. Other key executives include Tony Gostomski (finance), Bob Gregoire (global accounts), Shannon Haaf (legal), Steve Howell (operations), Margaret Jacks (global affairs/legal), Rachel Miller (marketing), and Ron Taylor (franchising). For Sandler Training franchisees, start up costs are moderate by industry standards with an estimated total cost, in US dollars, of from $72,150 to $88,750. Sandler Training International fees vary from country to country. The demand for quality sales training has rarely been greater than it is today. Large U.S. corporations currently spend $7.6 billion a year on improving the skills of their salespeople, making salespeople the third most highly trained group of employees after executives and managers. And the majority of these firms must look outside for at least some of their sales training needs. Through Sandler Training, you can tap this vast market - and beyond. I love to train and help other people grow. I have a passion for sales. I no longer fit the "corporate" mold. I am a good team player and also enjoy my independence. I am willing to follow a proven system. #1 Rated Training Franchise byEntrepreneur Magazine 2006, 2007 and 2008.